World getting a bit weighty? 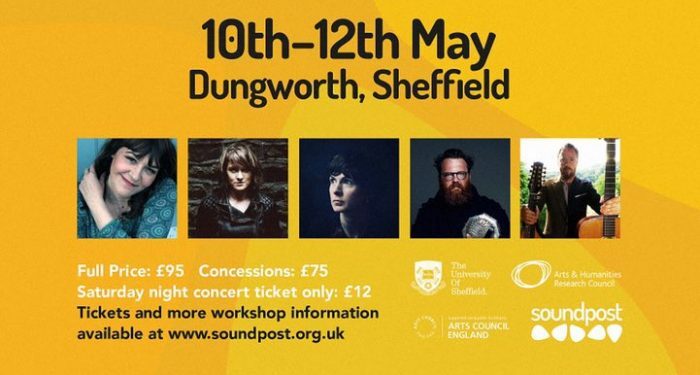 Lift your spirits in the wilds of South Yorkshire at Soundpost’s 2019 singing weekend. The Fairy Gathering 2019 (which takes place 10-12 May in Dungworth) will feature singers such as Marry Waterson, Fay Hield, Lucy Farrell, Ewan MacPherson and Ben Nicholls. 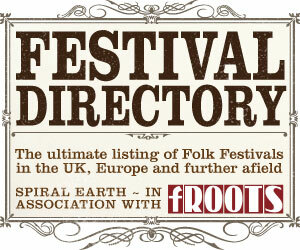 The idea for this year’s weekend comes from the Modern Fairies Project, a unique collaboration between leading songwriters, musicians, artists, poets, filmmakers and researchers to develop exciting new work, presenting fresh perspectives on what folklore means to us in the modern world. 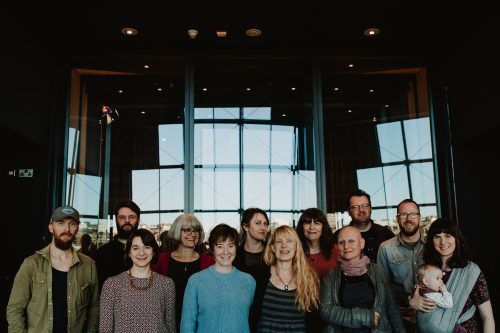 The weekend will see the artists delving into the world of folk tales and exploring how they can be made relevant to singers and listeners today. They will present hands on workshops to help you develop your own singing and songwriting with plenty of opportunity to get involved and explore new ways to work with folklore and music. “The fantasy of the fairy world offers escape to a place of light and beauty, of endless food and drink, of laughter and happiness, but the allure draws us away from what is really important into a dangerous world of make-believe. These vivid, timeless and enduring truths about human existence still speak to us powerfully today,” says Fay Hield, Soundpost co-founder. Soundpost was formed in 2011 by Hield, Sam Sweeney, Andy Bell and Jon Boden to explore folk traditions through practical workshops, performances, debate and discussion. The organisation’s annual weekends started in 2011 as a celebration of song, with workshops, talks and practical sessions. Last year’s Wanton Seed event featured content from the reissues of the classic folk song books Marrow Bones and The Wanton Seed and the brand new omnibus edition, Southern Harvest. Soundpost singing weekends are notable for their accessibility, whether you’re a singer, fairy fan, music teacher or keen listener. If you want to develop your singing or songwriting skills or if you just want to hang out with a group of amazing people and absorb the charmed atmosphere, the Soundpost Fairy Gathering is where the magic happens.